BARNARDO’S 2015 Mother of the Year, Chauntell McNamara, can’t understand why a family’s desire to adopt foster children is not embraced by the social services system. “For foster carers, adoption is made to be the hard road, even though what many of these kids need is consistent, permanent carers,” the mother of two children adopted through the foster system said. Mrs McNamara, a Leader of Learning and Wellbeing at St John Paul II College in Nicholls, and husband Andrew – who also have a nine-year-old biological son, Cooper – adopted their long-term foster children, Brodie, 15, and Annabella, 11, in 2014 after six years of “fighting” the system. She believes she would never have made it through the process if she wasn’t such an advocate for herself. “I don’t take no for an answer and I am always out there fighting,” she said, adding that many others struggle because they are afraid to do or say anything that might jeopardise their chances of adopting children. While the McNamaras were finally successful in becoming the first parents in the ACT to adopt two non-siblings at the same time, Mrs McNamara is dismayed to see that, rather than becoming smoother, the adoption process has regressed – especially in comparison to the vast progress in the neighbouring NSW system. She would also like to see a team approach to the adoption process, rather than an “us-versus-them mentality”. These are the types of issues ACT Liberal Senator Zed Seselja is hoping to address through the Parliamentary Friends of Adoption group he has established with Victorian Senator Kimberley Kitching. 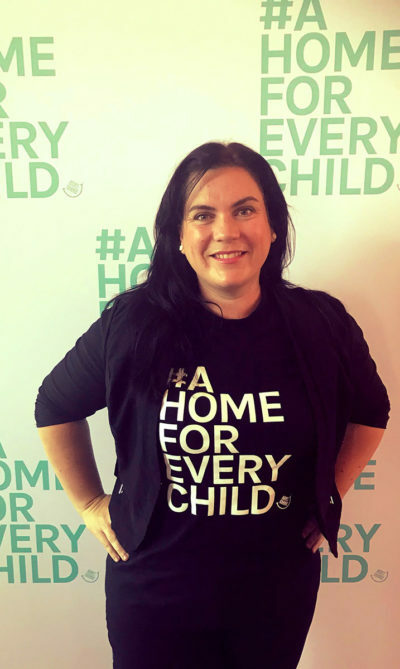 One of the group’s goals is to raise awareness of adoption as a “viable pathway” for more of the 50,000 children in out-of-home care around Australia, not to mention intercountry adoptions. fuelled his desire to “keep adoption on the agenda”. He said the group had attracted a growing number of parliamentarians. “The aim is to have some great events where we can raise awareness and tease out some of the barriers.” Senator Seselja, who has been “struck” by the progress being made in NSW and the work of organisations such as Barnardo’s, said the Parliamentary Friends of Adoption would work with advocacy groups such as Adopt Change. Mrs McNamara, who now offers respite care for other children, also continues to advocate for adoption through Adopt Change and foster carers’ groups.